Joel Van Huizen is not an unfamiliar name to those who are well-versed in the world of hockey. The young athlete is a third-generation national hockey player, following in the footsteps of his father (national hockey coach Steven Van Huizen), grandfather (former national hockey coach Lawrence Van Huizen) and even grand-uncle (the late Peter Van Huizen) who represented Malaysia in the Olympics. Joel started playing during childhood but only actively joined the world of sports during his teen years, when the then-16-year-old moved to St. John’s Institution. It was then that he started representing the state. 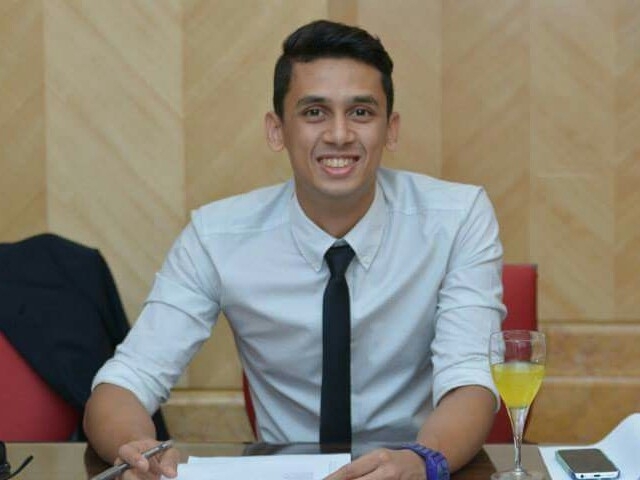 He started his national journey when he was 20, joining the national junior programme known as the Project 2013 team. 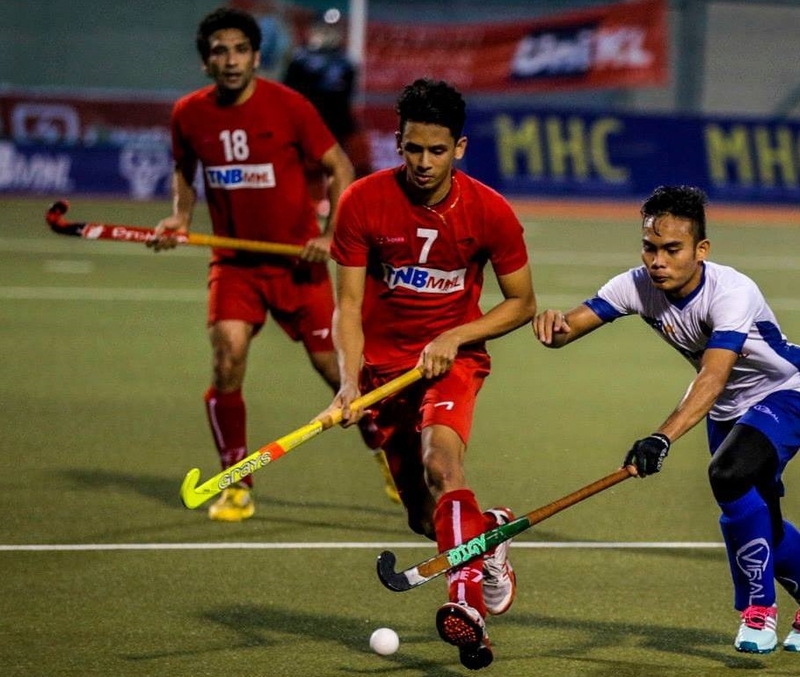 The team has since played in the 2013 Junior World Cup in New Delhi, where they came up fourth, the best achievement Malaysia has had in the Junior World Cup (was only achieved twice before, making this the third win). Joel made his debut for the national side this year in New Zealand, where six test matches were held, four against New Zealand, two against Korea. TheHive.Asia took a little time to chat with the national athlete during the premiere of “X-Men: Apocalypse” and found out more about his future plans as well as his favourite X-Men. Passion for hockey runs in the Van Huizen family (Photo source: Joel’s Facebook). How’s it like being a third-generation national hockey player? There must be pressure to do as good as your father and grandfather? Joel: There are always role models you can look up to but it also adds on pressure when you’re playing. My dad is the national team coach, so it adds even more pressure since I’m his son and I’m playing on the national team. But it’s something to be proud of, the pressure is there but it’s something that I cherish. I’m proud to be able to follow my father and grandfather’s footsteps. So you recently graduated from college? I just graduated from HELP, majored in Business and Accounting. I’ve started applying for jobs at a few companies. I’m looking for a company that will allow me to play for the national team and work. Is it hard to balance studies and sports when you’re an athlete? I think in Malaysia it’s very easy to study and play. Public universities allow students to play and study, but the only catch is it takes longer to graduate. A regular student would take about four years to graduate, they might take about seven to eight years because they would have to keep extending. I think every athlete will need an education because you might get a major injury from sports and you can never play again. So without education you don’t really have a backup plan. I think education is really important. Joel has recently graduated from college (Photo source: Joel’s Facebook). What’s your advice to the young students who would like to become athletes? Being an athlete is a very good thing, it teaches you so much about things you can’t learn from books, like discipline, dedication and teamwork. You don’t only get healthier at the same time, but it also helps you in your studies. Because it teaches you how to discipline yourself, how to study when exams are coming close. If you want to be an athlete, go for it. When are your next tournaments? We have a state tournament this weekend, which will be seven to ten days long. After that, we have a tour to Japan. After Japan, Australian tour where we’re playing their league in September. And we have Asian Champions Trophy coming up later this year. You mention that you like superhero movies and you are looking forward to “X-Men: Apocalypse”, let’s say if you could be any of the X-Men, which of them would you be and why? I think Professor Xavier. I mean his ability to read people’s mind and project images in people’s mind, I think it’s pretty cool. If you’re Professor Xavier, you can read what the opponent’s going to do. It makes it a whole lot easier, you know when he’s going to pass, when he’s going to dribble, how he’s going to dribble (laughs).